Moving seems like an easy task: pack up, drive away, and unpack when you arrive. However, the reality of relocating is much more complex, with ordinances and inconveniences popping up and complicating the process. Even an experienced rolling stone can benefit from some helpful moving in tips. Moving day is a high-stress, high-energy experience. Between juggling a moving crew, landlord, and a growing mountain of boxes, things are bound to fall through the cracks. These tips on moving will help make the day easier – from loading the first item on the truck to breaking down the last box. Some moving in tips are standard, while some differ based on location. Below you’ll see helpful tips everyone can follow on moving day. Keep scrolling and you’ll find some city-specific moving tips and tricks. Leave a few cleaning supplies within reach. Some apartments require you clean up before moving out (plus you might want to clean up once you arrive at your new place). Do a final walk-through. It’s easy to forget cups in a cabinet, towels on a rack, or sneakers in the back of a closet. Make sure nothing is left behind before you head out. Pack a bag for moving day. Keep any documents you may need on hand. You might end up needing leases, rental agreements, receipts, or your contract with the moving company throughout the day. Don’t do any packing day-of. Packing boxes amidst the chaos of people shuffling in and out of the house will delay the move and increase the risk of forgetting items. Keep treasured belongings with you. Valuable items like cash, jewelry, and prescriptions should travel with you – not packed away where they could potentially be lost or damaged. Label every box. Marking boxes ‘kitchen’, ‘living room’, or ‘bedroom’ will help speed up the time the moving crew spends bringing your belongings inside. Guide your moving crew. Whether you hire a professional crew or convince a group of friends to help, it’s important to make sure your team knows exactly where they’re going. This is especially important on busy city streets, parking lots or loading docks, and in buildings with strict moving regulations. Organize your items the night before. This is simple but effective advice for moving. Before your moving crew arrives, make sure large furniture items are cleared off and ensure there are no boxes blocking walkways or entries. Having to navigate a maze of your stuff will only delay the process. If you can, lend a helping hand. Some buildings have moving schedules and require it be completed within certain hours. If you’re crunched for time and able to help, lend a hand by bringing in some small boxes. But leave the heavy lifting for the professionals. Show your appreciation. Gratuity is not always expected by a moving crew but is certainly appreciated for a job well done. Whether it’s in the form of lunch, coffee, or cash, be prepared to tip your movers. Schedule services in advance. It’s best to have utilities start on the day you move so you don’t have to spend your first night without gas, water, or electric. Services like cable and internet also come in handy when installed immediately. Be mindful of your neighbors. This particular tip on moving affects everyone – if you’re moving early in the morning or late in the evening, be respectful of your noise levels. Also, try not to inconvenience them with your moving equipment. You don’t want to start things off on the wrong foot with new neighbors. Communicate with property management. Some buildings and neighborhoods regulate how certain items are disposed of, and where they should be placed. Ask the property management team before tossing things and learn their rules on recycling and disposing of toxic waste. Some tips are standard no matter where you’re moving but others are valuable, city-specific guidelines that will help you navigate your new home. For example, helpful moving tips in Dallas won’t be so helpful for your move to New York City, and those going coast-to-coast will need tips for moving cross country. At Move Matcher, we want to help limit the amount of relocation speed bumps you encounter with these specific moving tips and hacks, based on location. Do you want to live in one of the most diverse cities in the south? Does enjoying incredible eats, sunny weather, and fantastic public schools sound tempting to you? Look no further than the capital of the Peach State, Atlanta. What’s the weather like in Atlanta? Pretty fantastic. The city benefits from lots of sunny days every year, and average temperatures in the 60s, all year round. The city gets less than 6 inches of rain per month and rarely sees snow. However, like other cities in the South, the warm climate can result in extremely hot, humid days where the temperature reaches highs in the 80s or even 90s. City skyscrapers trap an intensify the heat, making the downtown area even hotter than the surrounding suburbs. If you’re moving into Atlanta at the height of summer, make sure you are well hydrated, take frequent breaks, and use sunblock to protect your skin. You may have heard about the traffic in Atlanta. 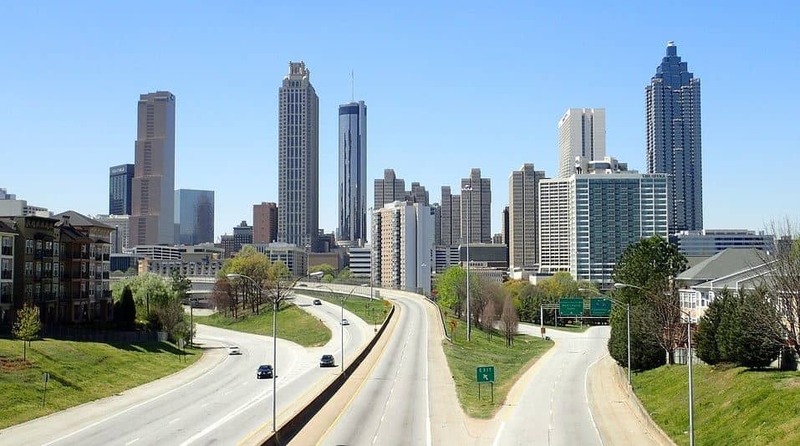 Many natives will tell you “it’s always rush hour in Atlanta.” Like many other cities, driving through downtown can be difficult, especially if you’re new to the area, and street parking may be limited. Make sure to find available parking near your new home, if you don’t have a driveway, or talk to your landlord about where your moving truck should park. Peachtree is part of A LOT of street names. Make sure you look closely at street signs before you turn down the wrong road! Right Lanes in Atlanta often turn into “exit only” lanes without much notice. Avoid switching lanes or taking a wrong turn, because, in this city, one wrong turn can keep you on the road an extra 30 minutes. Rain adds time. Atlantans aren’t used to driving through weather, and many will take it slow during any rainstorm, so check the weather before your moving day. Flights: Atlanta is home to the busiest airport in the world. If you are flying into the city, make sure to account for increased traffic around the airport. Elevators: Buildings with elevators often block out certain times they are in use for moving purposes. Meaning you’ll need to contact your building and reserve a time in advance. If your building does not have an elevator, take note of the available space so you can assess what furniture will make it up to your unit. Loading Dock: Larger buildings usually have a street-level back entrance with a wide, accessible doorway and sometimes a service elevator. If your building does have a loading dock, chances are residents are required to move in there. Designated Doors: Instead of a loading dock, some buildings prefer to have residents use a more discrete entrance to avoid heavy traffic in the front door and lobby. HOA Rules: Some homeowner associations (HOA) have rules regarding what can and can’t happen in the neighborhood like tampering with landscaping, blocking certain areas, and other inconveniences that could happen while moving. 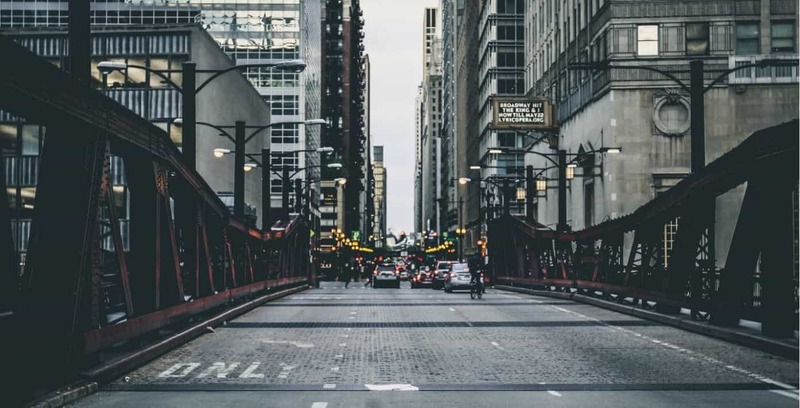 Noise: Whether or not it’s officially enforced through an HOA, it’s always good to be mindful of your noise level if you will be moving in early in the morning or late in the evening. Blocking Driveways: This is something city, and suburban dwellers always agree on: never block a driveway. The Peach Drop: More than 100,000 people visit Atlanta every New Year’s Eve to celebrate the coming of the new year. Like the Ball Drop in New York, the Peach Drop does feature a large peach, which descends as everyone counts down to midnight. Sectioned off streets and the large influx of tourists may increase traffic and impair your moving route. Atlanta Dogwood Festival: Usually taking place in Mid-April at Piedmont Park, the Dogwood Festival is how native Atlantans welcome spring into the city. The festival features everything from local artisans to carnival rides, disc dog competitions, and live performances. Areas near the park may be closed off or have significant traffic. Peachtree Road Race: A yearly 10K race, the Peachtree Road Race occurs every 4th of July in Atlanta. It’s known as the largest 10K in the world and can have upwards of 60,000 participants. The race starts at Lenox Square Mall and finishes at Piedmont Park, so expect detours and road congestion in that area. Dragon Con: This annual convention takes over the streets of Atlanta near the end of August and the start of September (usually around Labor Day Weekend). It’s one of the largest multi-genre conventions in the world and includes events at multiple hotels, live performances and even a parade. Check parade routes and aim to avoid the convention area if you’re moving to Atlanta during Dragon Con. Other Yearly Festivals: Atlanta is a city that loves to party, so many additional festivals are going on year round, from music and cultural fests to neighborhood block parties. Check net to see a full list of local events during your moving day. Midwesterners are no strangers to the inconvenience winter weather can cause. If you have to move in the winter, make sure you account for the ways snow and ice can disrupt the process. Street plowing: Major roadways will be a higher priority for the city to plow compared to smaller, residential streets. Make sure you know the conditions, so your moving truck and car don’t slip and slide on the narrow and possibly one-way streets. Flight delays: If you’re travelling by plane to your new home in Chicago, be aware winter weather often delays or cancels flights at certain airports. Clothing: Chicago can be hot and humid in the summer months, but the winter is especially brutal. A warm jacket is important, but snow boots are a must to prevent you from falling while carrying boxes inside. Chicago has strict rules when it comes to parking and standing on city streets. Many roads require a zone permit or city sticker for parking and have time limits on standing. In addition to zoning issues, there is something else Chicago streets lack: space. Keep in mind you shouldn’t block fire hydrants, driveways, or double park on city streets as it can lead to tickets and heavy fines. Elevators: Buildings with elevators often block out certain times they can be used for moving purposes. This means you’ll need to contact your building and reserve a time in advance. If your building does not have an elevator, take note of the available space so you can assess what furniture will make it up to your unit. Designated Doors: In lieu of a loading dock, some buildings prefer to have residents use a more discrete entrance to avoid heavy traffic in the front door and lobby. Blocking Driveways: This is something city and suburban dwellers always agree on: never block a driveway. 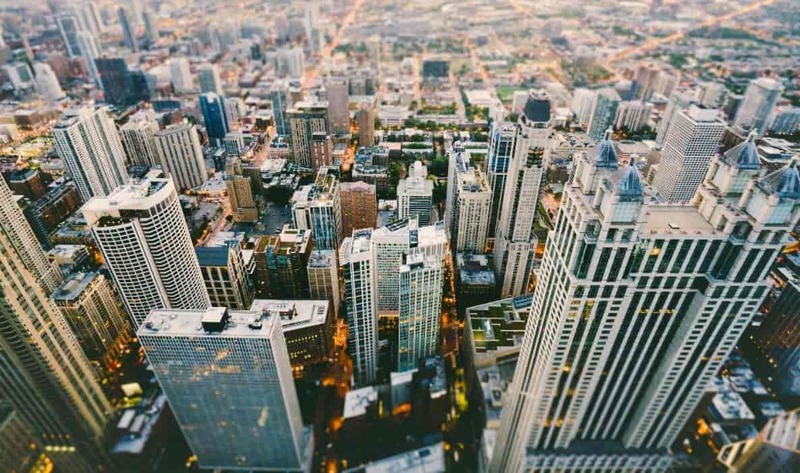 May and August: Chicago is home to many great colleges, but this means the beginning and end of the school year tend to be very busy. Patrick’s Day Weekend: Chicagoans love St. Patty’s Day; in fact, Chicago was named one of the best places to celebrate the holiday. Between dying the Chicago River green, the countless bar crawls, and infinite tourists visiting that weekend, it’s probably best not to try and move mid-March. Chicago Marathon: Each year Chicago hosts the Chicago Marathon. Though it’s exciting, the city has to close down a lot of streets for the race to happen, which can cause detours and heavy traffic. Lollapalooza: This four-day music festival has become one of the most exciting weekends of the year in Chicago. But the festivities attract a lot of travelers and make it a bit harder to make way through the city. Chicago Street Festivals: There is always something exciting happening in the diverse neighborhoods of Chicago, especially in the summer. Most Chicago street festivals require road blocking that can last for days, so make sure to research your neighborhood’s events before moving day. North Texas is a humid subtropical climate known for its hot summers. While warm weather is ideal for moving, it does come with its own problems. Hot Temperatures: Doing heavy lifting and moving in hot weather can cause physical discomfort, but it also poses other risks like sun poisoning and heat stroke. Thunderstorms: Annual precipitation varies considerably, from less than 20 inches to more than 50. Most of this rain is a result of thunderstorm activity which can potentially cause flash flooding and dangerously high winds. 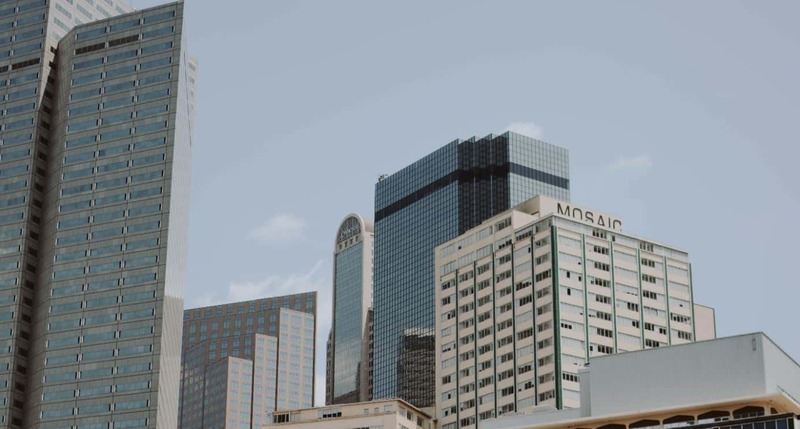 Both Dallas and Fort Worth have rules on parking in certain areas of their respective cities – especially if you’re moving to a busy area downtown. Dallas: If you’re moving into the heart of Dallas, be sure to safely park your car and moving truck in a non-invasive The City of Dallas will ticket cars going against their posted street signs and at worst will boot, tow, or impound vehicles. Fort Worth: Many of the Fort Worth hot spots offer free parking garages and lots, while the streets are usually metered. Though these parking options are free for visitors, chances are they won’t accommodate a large truck. If you find free street parking in either city, always make sure you never block hydrants, active driveways, abuse time limits in a standing zone, or double park. Six Flags Over Texas: This classic theme park sits right in the middle of Dallas and Fort Worth in Arlington, Texas. Six Flags’ operating season is nearly year-round, from late February through early January, but the summertime is always busiest. While weekdays are tame, traffic can be brutal surrounding the park during the summer weekends. 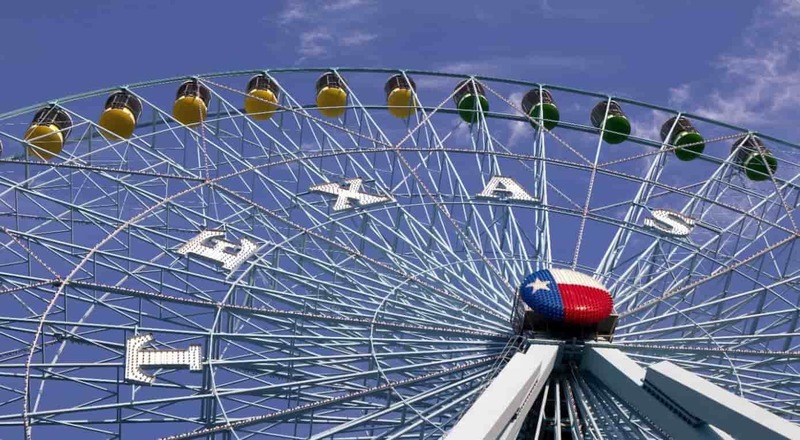 State Fair of Texas: The State Fair of Texas was established in 1886 and is the longest-running fair in the United States. It’s also one of the largest state fairs, attracting huge crowds to Dallas and the nearby areas each fall. Juneteenth Celebration: Occurring every year on June 19th, the Juneteenth Celebration commemorates the announcement of the emancipation of slavery in the state of Texas in 1865. This and other DFW events may bring on certain celebrations such as street festivals, which could potentially cause traffic, detours, and delays. 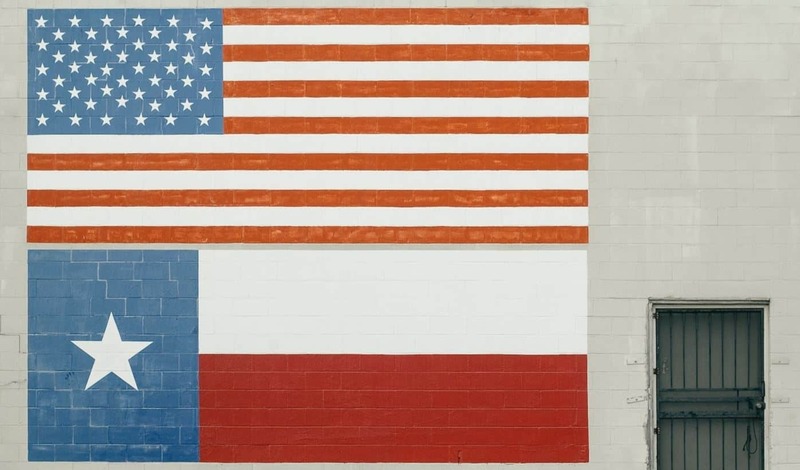 Houston is best known as the home to the Johnson Space Center, but it also boasts thriving theater and historic districts, 19th-century architecture, and fantastic restaurants. As the fifth most populous city in the nation and second most populous in Texas, Houston is truly an exceptional place to call home. Houston’s climate is humid subtropical, so it’s certainly not a chilly place. Averaging only 18 days per year of temperatures being 32 degrees or below, you can normally bank on Houston to have short winters and very long summers. Hot Temperatures: Houston averages 99 days per year with hot temperatures of 90 degrees or higher, though temperatures mostly remain between 60 and 80 degrees throughout the rest of the year. In a climate like Houston’s, you may face risks such as sun poisoning and heat stroke. Rain and Humidity: Houston is notoriously rainy and gets about 45 inches of precipitation each year – even more rain than Seattle! If the heat is high you can bet the humidity will be higher, as the sun and precipitation are usually at maximum capacity in Houston. Houston is a large metropolis and faces the same parking issues as other major cities. Houston mostly has on-street parking which is free after 6 pm Monday-Saturday, and all day on Sunday. The rest of the time, on-street parking is metered with 3-hour limits. When parking in Houston, pay close attention to posted signs, road markings, and time limits. You can also buy a Downtown Hopper Pass, a one-time daily fee which allows you to move from block to block and meter to meter without paying each time. The Downtown Hopper Pass may be ideal for moving day in the city. Houston Livestock Show and Rodeo: RodeoHouston is the largest livestock exhibition and rodeo in the world, lasting 20 days each year. Over 2.5 million people attend the show and its other events, including Go Texan Day in February. It’s no surprise RodeoHouston causes heavy traffic and congestion in Houston. Space Center Houston: Many people flock to Texas to visit the famous Space Center in Houston. The exploration learning center is one of the main attractions in the city and draws large crowds, with peak attendance on weekends, holidays, and throughout the summer. 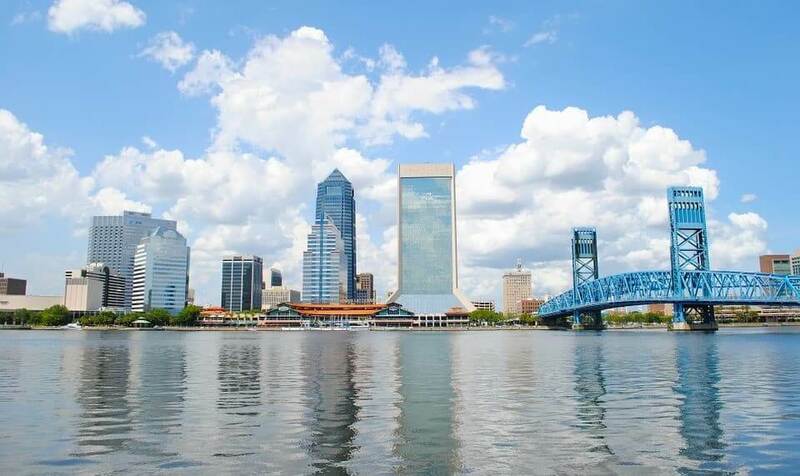 Named the #2 Top City Millennials are Moving to by Forbes Magazine, Jacksonville has something to offer professionals, couple and families of all ages. From the sunny weather to the beautiful seaside views and beaches, if you’re considering moving to Jacksonville, you’re making a fantastic choice. Florida is called the Sunshine State for a reason, and Jacksonville follows suit, with 221 sunny days per year. The temperature in the city can get as high as 90 degrees in Summer months, and the high humidity in the city makes the heat even more oppressive. If you’re moving to Jacksonville from June-September, make sure to stay hydrated, take breaks, and use sunblock to protect your skin while unloading your truck. SunPass: Some tolls roads in Florida only take the State-specific SunPass, and won’t accept E-Z Pass placards as payment. If you don’t have a SunPass, make sure you bring cash in your car. HOV Lanes: Florida highways also have carpool lanes to help you avoid rush hour traffic, but make sure you have the required amount of passengers to avoid a hefty fine. Parking in Jacksonville: Street parking in Jacksonville is free on weekends and after 6 PM. Most meters in the city cost $0.25 per half hour and can be paid with either cash or credit card. IMPORTANT: If you don’t see a meter, do not park. All street parking in Downtown Jacksonville is metered, and parking in a spot without a meter is illegal. Noise: Whether or not the HOA enforces noise limits, it’s always good to be mindful of your noise level if you will be moving in early in the morning or late in the evening. The Gate River Run: This is the largest 15K run in America, and brings more than 20,000 runners to Jacksonville each March. The course runs through the center of downtown Jacksonville, so folks moving to Jacksonville during the race should expect road closures and detours, along with large crowds of pedestrian spectators. Greater Jacksonville Kingfish Tournament: Held each year in July, the Jacksonville Kingfish Tournament is the largest event of its kind on the east coast. More than 300 boats participate in a variety of fishing and boating events, and spectators line the shores to watch. Watch out for road closures, and expect to see dozens hitched boats on the roads before and after the tournament. Jacksonville Jazz Festival: Taking place on Memorial Day weekend each year, the Jacksonville Jazz Festival is a three-day celebration of all things music. Live performances take place on two outdoor stages, while food and artisan vendors set up shop to serve thousands of guests in the new Jazz Marketplace. Expect increased traffic during the festival, as well as less available parking! 2 with DONNA: This marathon is the only one in the country whose funds goes solely to breast cancer research. The weekend event takes place in February and includes a 5K, half marathon and full marathon for participating runners to choose from. Check your moving route if arriving during the marathon, and plan for detours! TaxSlayer Gator Bowl: The taxpayer Gator Bowl is Jacksonville’s annual New Year’s Eve college football game, which takes place at the TIAA Bank Field. There are also many NYE parties and events taking place throughout the city, so you should be extra careful if moving to Jacksonville during the holiday. Other Local Events and Festivals: Jacksonville is a city that works hard and plays hard. Before you move, check Google to see if any local events are happening in your new hometown, and plan your route accordingly for a smooth moving day! 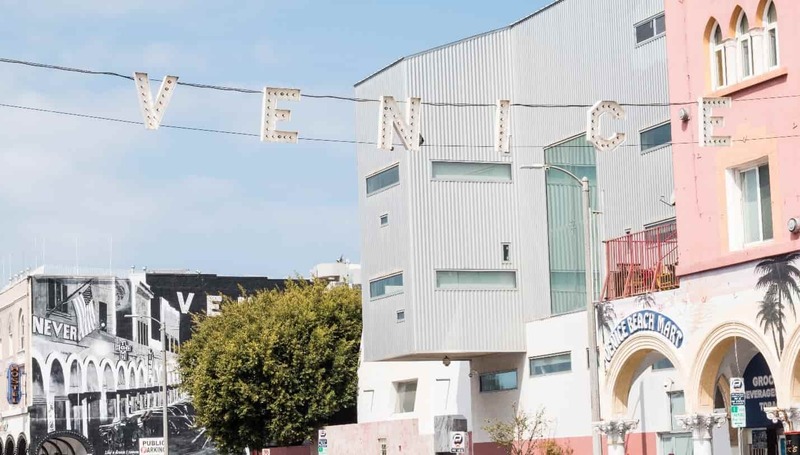 Los Angeles is an alluring city, from the iconic Hollywood Sign to the Santa Monica Pier. The year-round warm weather and lively, diverse culture make the largest city on the West Coast a favorable place to live. It’s hard to critique the weather in Los Angeles. The city has a Mediterranean climate, which is a type of dry subtropical climate. 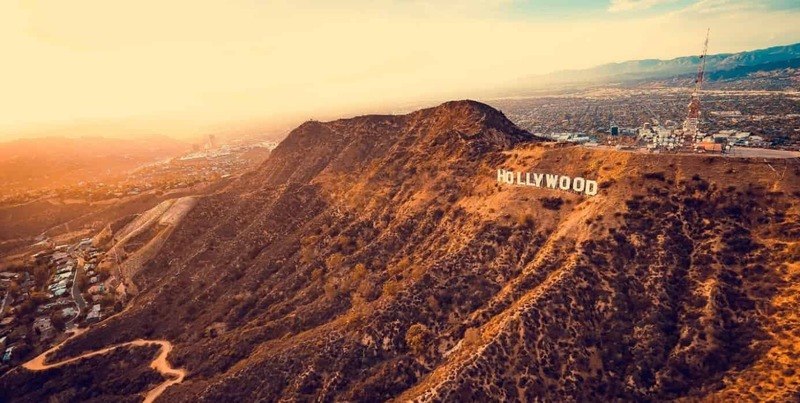 Los Angeles is vast, situated on the coast but spanning out to hills and mountains. This means there are a number of microclimates to be found, depending on which area you are in. As a whole, Los Angeles has mild winters and warm summers. LA is mostly dry and experiences only about 15 inches of rain per year. The average temperatures in winter are around 68 degrees. The summers are hot in Los Angeles, reaching upwards of 100 degrees. Los Angeles gets about 3,200 hours of sunshine annually, with bright skies year-round that are especially clear in the summer. One problem LA faces is the amount of pollution, which accumulates in the air between May and October, which can bother skin and irritate the respiratory system. Los Angeles is a large city and its rules and regulations vary depending on the area. The city experiences gridlock traffic in some parts and minimal parking availability in others. HOV Carpool Lane: Most LA freeways have High Occupancy Vehicle (HOV) lanes on the far left of the road. These carpool lanes are designated for cars with at least two people inside. Keep in mind cars towing a trailer are never permitted in carpool lanes. Street Parking: In many suburbs and non-commercial neighborhoods, street parking is free. In higher-density areas (like Downtown LA) you’ll experience paid garages, lots, and metered parking. In some neighborhoods, residential permits are required. Curb Colors: The sidewalk curbs of Los Angeles are often marked with distinct colors symbolizing certain parking and standing restrictions. You can learn what each color means. If you have a moving truck, ensure you can legally park on your street so you can avoid fines. Spot Angels can also help you find a parking spot in advance. Staples Center: The Staples Center is a multi-purpose arena in Downtown LA that’s home to multiple sports teams, such as the Los Angeles Lakers, and hosts various concerts and shows throughout the year. Due to its location in DTLA, pre and post-event traffic can be very impactful. LA Marathon: The Los Angeles Marathon occurs annually in either February or March. Like all city marathons, this one closes down streets and redirects both car and foot traffic in certain areas. The current route of the LA Marathon starts at Dodger Stadium and ends in Santa Monica. Hollywood Bowl: The Hollywood Bowl is a large outdoor amphitheater and hosts a number of shows and concerts. If you’re moving near the Hollywood Bowl, some of this show concert could potentially impact your route. Rose Bowl: Located in Pasadena, the Rose Bowl Game draws huge crowds each January 1st. New Year’s Day isn’t a popular day to move, but the Rose Bowl along with other NYE traffic could impact your New Year moving day. 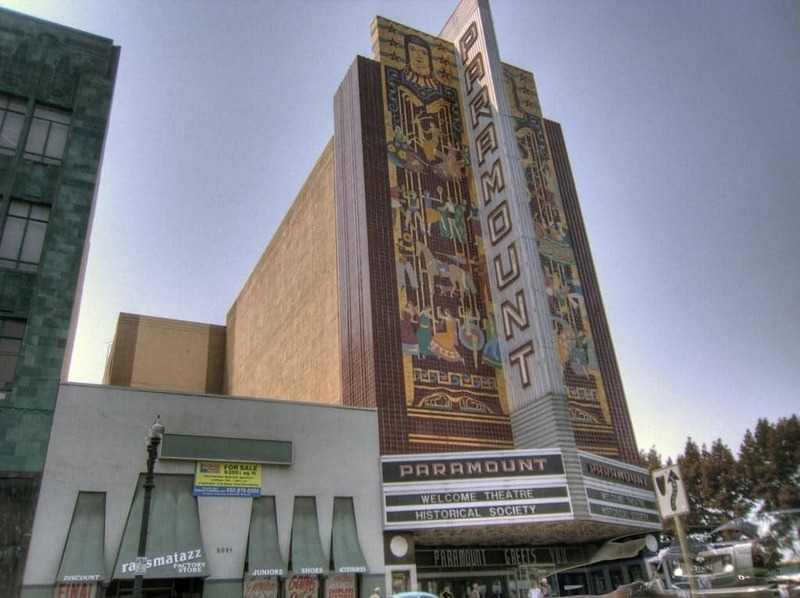 Film Festivals: As the film capital of the world, Los Angeles hosts dozens of film festivals each year. You can see a list of what they are, and where they happen, on Trip Savvy. New York City is the nation’s largest city and is the cultural and economic hub of the United States. 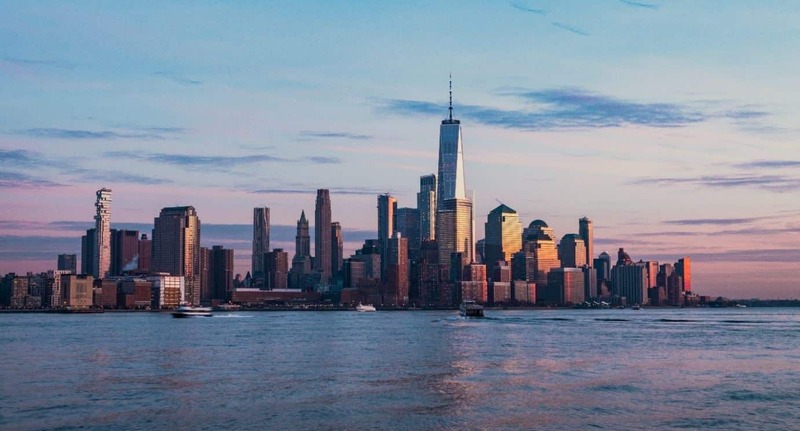 It doesn’t matter if you’re moving to Manhattan, The Bronx, Brooklyn, Staten Island, or Queens – New York City is a wonderful place to call home. The extreme southeastern part of New York State, where New York City is, lies in a warm humid subtropical climate zone. The weather varies considerably — Winter temperatures are in the 20s and 30s and can bring thirty inches of snow on average, while the summers are hot and humid in the 80s, and upwards of 90, degrees. Clothing: New York City can be hot and humid in the summer, but the winter months can also be extreme. A warm jacket is important, but snow boots are a must to prevent you from falling while carrying boxes inside. About half of New York households are car-free – but that’s a different story when it comes to moving day. Whether you rent a moving truck or borrow a friend’s van, you’ll want to avoid tickets and fines when relocating to your new home. Parking: In a city of 8.6 million people, street parking is pretty difficult. There are many limitations such as time limits, street cleaning, construction, and metered parking. Though pricey, the most dependable place to park in NYC is a parking garage. Parking is a little easier in less crowded areas of certain boroughs, but garages are the most dependable in busy Manhattan. Snow: The City of New York closes certain streets in extreme weather conditions. Between the risk of closures and road plowing, it’s best to avoid street parking for too long when moving in the winter. United Nations: New York is home to the headquarters of the United Nations, which hosts important government figures from the world throughout the year. When a United States or foreign official is in town, the city will close roads and redirect traffic throughout Manhattan. New York City Marathon: Over 50,000 participants cross the finish line of the New York City Marathon each year. Like any city, a marathon causes street closures and reroutes. The Governors Ball: The Governors Ball is an annual music festival held on Randall’s Island (separated from Manhattan by the Harlem River, and Queens by the East River). Festival goers add to the numbers by traveling to NYC for the impressive concert lineups. Tribeca Film Festival: The Tribeca Film Festival is one of the most prominent and well-known film festivals in the world. Held in the Manhattan neighborhood of Tribeca each year, the area becomes quite chaotic during TFF’s run. Madison Square Garden: Not only is The Garden home to the Knicks and Rangers, but it also hosts the most high-profile concerts in New York City. You can expect Midtown Manhattan to be crazy busy when Madison Square Garden hosts a show or game. Barclay’s Center: Located in the heart of Brooklyn, Barclay’s Center is home to the Brooklyn Nets and the New York Islanders. The indoor arena also hosts big-name concerts throughout the year. Since the arena seats 19,000 people, the area gets crowded before and after events. New York Fashion Week: The world’s most renowned fashion designers travel from around the world to attend New York Fashion Week. 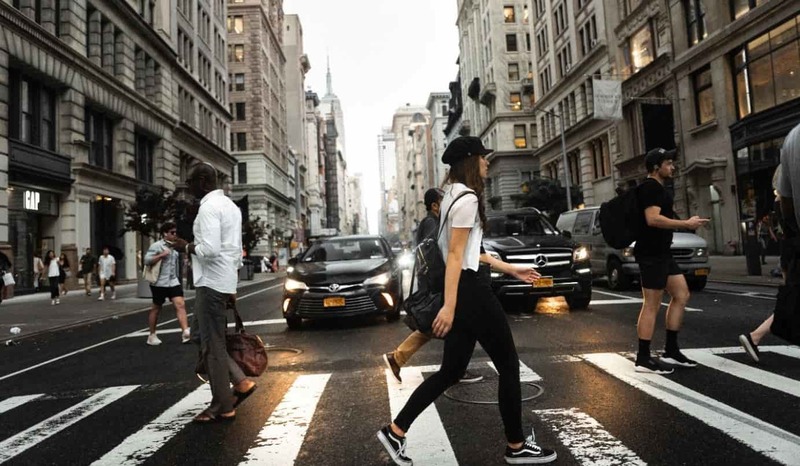 Held in February and September annually, NYFW shows are scattered about the city and could potentially disrupt normal traffic. SantaCon NYC: Perhaps one of the most famous pub crawls of all time, New York City annually hosts the largest SantaCon each December. If you’re moving during the holidays, watch out for tipsy Santas crossing the city streets. 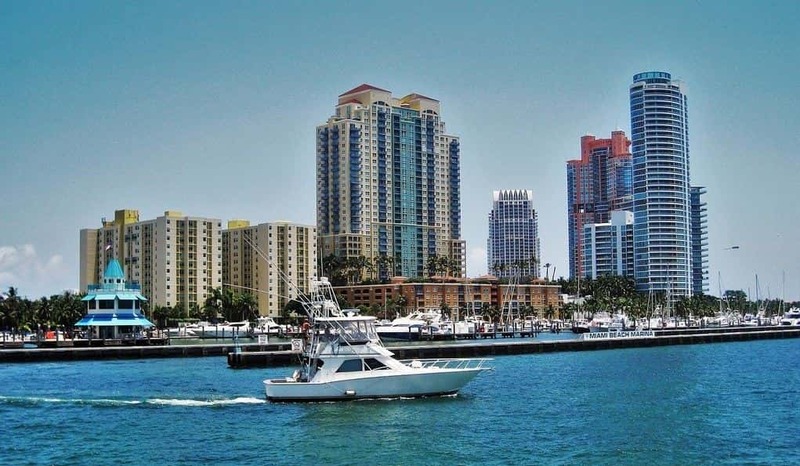 Miami is known for its densely packed urban population, amazing weather, and incredible beaches. People in Miami work hard to play hard; the city is not only one of the top party cities in America, but also home to dozens of international corporations, and some of the biggest modeling agencies in the country. If there’s one thing people know about Miami, it’s that this city is HOT. The average temperature in Miami stays between the 60s and 90s throughout the year, and the seaside location means you’ll be dealing with significant humidity, which can make a hot day feel sweltering. No matter what time of year you’re moving to Miami, protect yourself by wearing plenty of sunblocks, and drinking water to stay hydrated. There’s a reason the University team for Miami is called the Hurricanes. Every year from June to November, huge storms build up in the Atlantic, and when they hit the Florida coast, they bring high-speed winds and torrential rain. Hurricanes can be extremely dangerous, and during larger hurricanes, the city may even be under evacuation orders to keep residents safe. Before your moving day, make sure to check the weather, and be prepared for potential storm conditions. Parking: Miami purposefully doesn’t have enough parking. In 2005, the Miami 21 Code was written to help give residents and visitors an incentive to use mass transit, by limiting the parking options within the city. 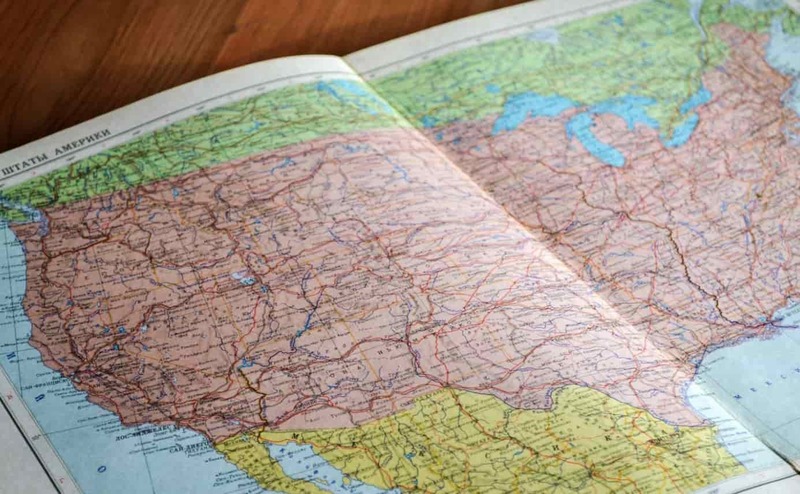 While finding a spot here will cost you less than NYC or Boston, the competition is high, and finding a place to put your moving van may be even more difficult. Plan out your route ahead of time, take advantage of the PayByPhone parking app, or find nearby garages to avoid a parking nightmare! Highways: While some highways in Miami are free to drive along, others, like the Florida Turnpike, require a toll. Note: Some tolls will accept E-Z Pass, but others require a Florida specific pass called SunPass. Make sure to read the signs as you approach the tollbooth! Carpool Lanes: I-95 is a free highway, but it also offers a paid express lane for cars that meet carpool requirements. If you’re in a hurry on moving day, consider using the express lane to bypass traffic. Miami Art Deco Weekend: Taking place along Ocean Drive, this three-day January festival is the longest running free community event in Miami. The festival includes more than 85 events, including live performances, a dog show, and fashion shows! If you are moving close to Ocean Drive during the festival, expect heavy crowds and traffic, difficulty parking and some road closures. Miami Marathon: More than 20,000 runners take part in the Miami Marathon and half marathon each year. The event usually takes place in late January, and the course runs from the American Airlines arena all through the city, including across the islands in the bay. Make sure you know which roads will be closed, and be extra cautious of pedestrians if moving during the Marathon. Carnaval Miami: This is the largest celebration of Latino culture in the country, attracting more than 1 Million visitors to Miami every March. More than a simple celebration, the Carnaval takes place over 10-14 days and includes a music festival, wine and food festivities, and even sports tournaments. Other Festivals and Events: Miami is a party city, so events are going on all year round. Make sure to check online to see what events are going on during your move, so you can avoid crowds, get to your new home on time, and of course, stay safe. As a suburb of San Francisco, Oakland offers all the benefits of living in the Bay Area, plus a lower cost of living, more greenery, and some of the best food around! Oakland also has some amazing neighborhoods for millennials, with a range of housing options and tons of work opportunities. However, moving to Oakland, like any other city, can still be a hassle if you aren’t familiar with the area. To help reduce stress on moving day, here are a few tips for moving to Oakland, CA. Like nearby San Francisco, people living in Oakland enjoy a mild climate throughout the year. The average temperature here ranges from the mid-40s to mid-70s, and on most days here feel comfortably cool. The rainy season in Oakland lasts from November to March, so if you’re moving during the Fall or Winter, keep an eye on the forecast, and always be prepared in case of a storm. Colored Curbs: Street parking in Oakland is color-coded to help drivers know where they can park, when they can park there, and how long they can stay! A Red curb means no parking, or even stopping is allowed. Yellow curbs are only for picking up or dropping off passengers, and you have to move your car within 3 minutes or stopping. You can also drop passengers off at White curbs, but there is no specific time limit. Yellow and White curb rules are usually in effect from 7 am-6 pm. At a Green curb, you can park or stand for just 12 minutes between the hours of 8 am and 6 pm. Green curb restrictions do not apply during Sundays and Holidays. Blue curbs are reserved for people with disabilities, and cars with valid handicapped placards or license plates. Metered Parking: In Oakland, metered parking spots are FREE during the weekend! During weekdays, metered parking in the city costs $2.00 per hour on average. The Flatlands and the Hills: Oakland’s topography is split in two. About two-thirds of the city lies on a flat plain along the bay, while the outer third is located in the foothills to the East. Be prepared for sudden changes in terrain, and learn to curb your wheels if you’re moving to the Hills. First Fridays: On the first Friday of each month, Oakland locals come out to celebrate local artists and performers (and eat some amazing food). The monthly event draws large crowds to Telegraph Avenue, leading to an increase in traffic and making it difficult to find parking. Oakland Triathlon Festival: The Oakland triathlon is the largest race of its kind in the west coast. The event website offers plenty of information on traffic changes, such as the times when cyclists will be on the road and closures drivers need to be aware of. The Día de Los Muertos Festival: One of many cultural festivals in Oakland, the Day of the Dead is celebrated in Oakland’s Fruitvale neighborhood, and brings more than 100,000 people to the area. If you are moving to the Fruitvale neighborhood around November 1st, make sure to plan your route around the festival to avoid driving and parking issues. Other Cultural Festivals and Local Events: No matter what time of year you’re moving to Oakland, be sure to check online to see if any local events are happening that may impede your moving day activities. Orlando may be the Theme Park Capital of The World and home to the “Happiest Place on Earth,” but it’s also one of the fastest growing cities in America. 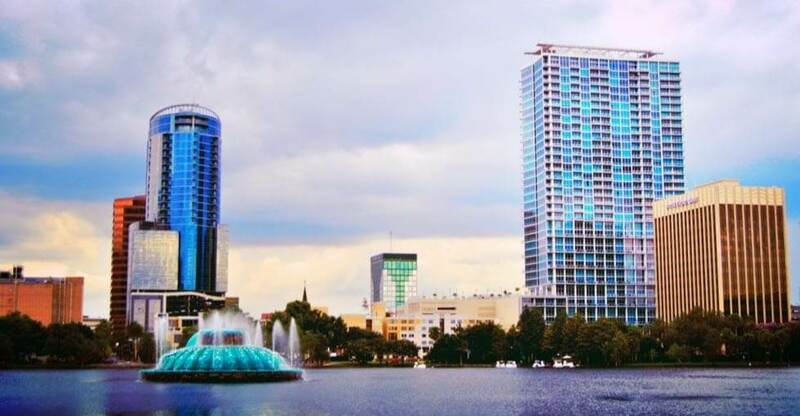 With gorgeous homes, sunny weather, and job opportunities in everything from finance to technology, Orlando is a perfect choice for any family or young professional looking for a new hometown. Orlando is at the center of the Sunshine State, and therefore most known for its many sunny, hot days throughout the year. However, since Florida is a peninsula, the weather here is more unpredictable than other parts of the country. Rain and thunderstorms occur often and can result in low visibility and slick roads that drivers must navigate carefully. Additionally, though central Florida is more shielded than more coastal areas, Orlando is still impacted by hurricane season, which can bring torrential downpours and heavy winds. Check weather reports as your moving day approaches, and always drive with caution when in Orlando. Driving in Orlando for the first time can be confusing, especially if you’re flying in and driving a rented vehicle! Popular tourist routes are often full of traffic, and it’s important to keep in mind that many people on the roads here may also be in rentals, and might even be from other countries. Therefore the cars around you might not be as familiar with American best practices for driving as you are. Here are a few additional points to keep in mind when driving in and around Orlando. Right on Red: YES, you can turn right on red in most intersections in Orlando, after coming to a full stop, and checking the cross-traffic. Intersections where turning right on red isn’t permitted will have a clear sign! Parking: In Orlando, you should always park facing the same direction as the flow of traffic. Otherwise, you may be subject to a fine! Street parking in Orlando is metered, but free from 6PM-8AM Monday-Saturday, all day Sunday and during city holidays! Disney World & Universal Studios: Freeways near these theme parks and the routes connecting them to the airport are more congested than other Orlando roads. If your moving road coincides with theme park traffic, add at least 30 minutes to your expected driving time! Citrus Bowl: This yearly Florida sports event brings in top college football teams from across the country to play one another on New Year’s Day. In addition to the teams themselves, thousands of sports fans come into the city to watch their favorite players in one of America’s oldest college bowl game. Expect increased traffic before and after the game in the areas near Orlando’s Camping World Stadium. Halloween Horror Nights: A yearly event hosted by Universal Studios Orlando, this event transforms the popular theme park into a house of horrors from September to the first weekend of November each year. Features include haunted houses, “scare zones” and live entertainment.’If you are moving to an area close to Universal, watch out for increased congestion, and lots of folks in costume! Florida Film Festival: The largest film festival in the Sunshine State, this festival usually takes place over 1-2 weeks in mid-April at the Enzian Theater in downtown Orlando. During the festival, you may run into traffic, or be rerouted due to road closures. Parking may also be difficult with an extra 23,000 guests in the city. MegaCon: This is the largest Comic and multimedia convention in Florida. Every May, more than 100,000 fans of pop culture descend on the Orange County Convention Center for four days of panels, performances, autograph sessions, and workshops. Traffic near the Convention Center will be slow-moving during the convention, and finding street parking may be near impossible, so look for paid garages if you’re moving in during the convention. Other Festivals & Events: Orlando has local festivals going on year round, and Universal Studios and Disney World have both annual events and special events, like the opening of new rides or theme park areas (like Harry Potter World or the upcoming Star Wars expansion at Disney), which bring in massive influxes of tourists. San Francisco is home to almost 900,000 people and is known for its incredible weather, job opportunities in tech and aerospace, and hilly landscape. The city is a top destination for millennials, with some of the trendiest neighborhoods on the West Coast, and has tons of things to do, whether you’re a tourist or a local. If you’re planning a move to San Francisco, take note of these tips to make your transition as easy as possible. The weather in San Francisco is enviable. With an average temperature of 57 degrees, you won’t find too many sweltering hot days here, and it never gets below freezing. The Bay Area rarely gets snow and has just 68 rainy days per year. When moving here, remember to wear layers, since some areas of the city get windy, and the temperature can fluctuate throughout the day. 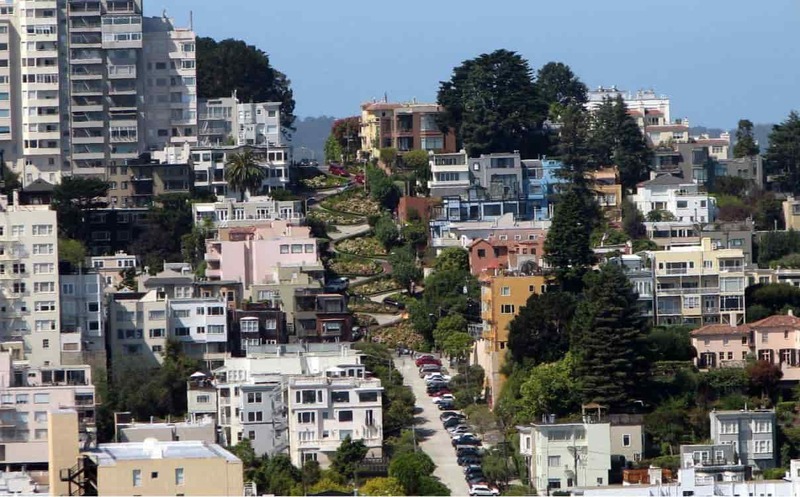 One-Way Streets: San Francisco has a lot of them, and getting turned down the wrong street can make it difficult to find your way back to your route. Look at street signs carefully, and turn up the volume on your GPS to minimize delays. Curb Your Wheels: When parking on one of the city’s many hills, you’re required by law to curb your wheels. What does that mean? When you park, you’ll need to turn your front wheels, so they are angled towards the curb– this helps prevent your car from moving on its own. Watch for Light Rail Vehicles (LRVs): San Francisco’s main public transit system, the SFMTA runs using LRVs. According to local laws, you may not pass an LRV on its left at any time, and you may not pass it on the right when the doors are open. The San Francisco Pride Parade: One of the largest pride celebrations in the world, the San Francisco Pride Parade brings in more than 100,000 visitors every year. The parade course runs straight down Market Street, from Embercado to the Civic Center/UN Plaza. Check your moving route for additional road closures, and watch out for pedestrians! The Biofreeze San Francisco Marathon: In addition to being a qualifier for the renowned Boston Marathon, the San Francisco Marathon is an incredible race in its own right. Taking place each July, the race includes more than 27,000 runners and 80,000 sidelines, spectators. The marathon course starts along the shoreline, cuts across the Golden Gate Bridge (both ways), and circles through the city back to the shore for a scenic finish. If you’re moving to the area during the Marathon, expect road closures, increased traffic and lots of crowds. New Year’s Eve in San Francisco: Each year on New Year’s Eve, the City of San Francisco puts on a show with celebratory fireworks in the Bay. Though the fireworks only last 20 minutes or so, other NYE events take place all around the city, from street fairs to live performances and even cruises through the bay. While we’d recommend not moving in during a major holiday anyways, NYE movers should be cautious, plan their route in advance, and prepare for delays. San Francisco Concerts: San Francisco is home to several amazing music venues, including The Fillmore, the Davies Symphony Hall, and the Great American Music Hall. Throughout the year, these play host to top musicians, bringing in crowds of thousands at a time. Check sites like Eventbrite and TripAdvisor to see which concerts coincide with your move, and plan your route accordingly! Other Local Events: We’ve only covered a few of the hundreds of local events that go on in San Francisco all year round. Before your move, make sure to check online to see what’s going on in the city, and in your neighborhood, so you don’t get caught off guard! 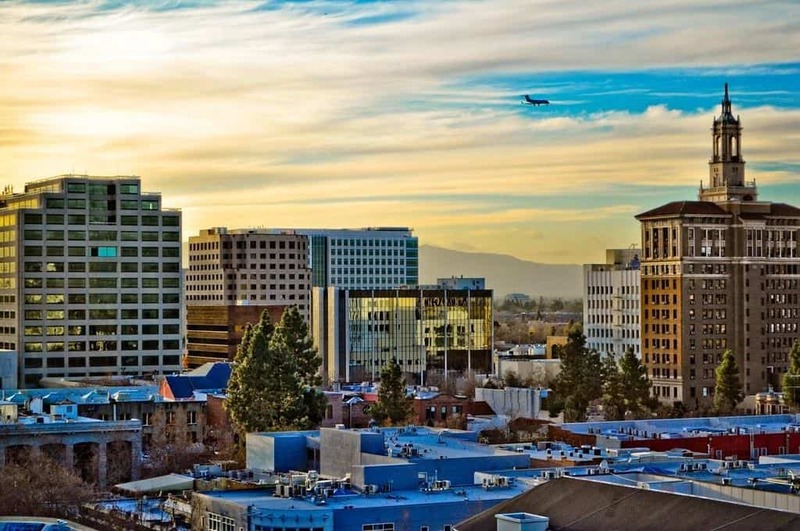 San Jose is one of the most populous cities in America and continues to grow each year, as everyone from millennials to established professionals moves to the area. As part of the famous Silicon Valley, San Jose is home to several tech startups, as well as industry leaders like Cisco Systems and Adobe, Inc. Plus, the city has some of the best weather in the USA, has low crime rates compared to other large cities and has dozens of incredible neighborhoods to choose from. Are you planning a move to San Jose? Check out these tips to make your moving day less stressful. Like most of the Bay Area, San Jose benefits from lots of 300 sunny days per year and a mild climate that will finally allow you to throw out your heavy winter coat for good. The temperature here rarely drops below the 40s; however, Summer days can become sweltering at 80-85 degrees. In San Jose, downtown areas tend to be a few degrees hotter than the suburbs, so if you’re moving during July or August, remember to protect your skin, stay hydrated, and take advantage of cooler mornings and evenings for unloading. the first time. Make sure to keep your GPS on at all times and choose a local moving company who knows the area can help guide you through potential obstacles. You’ll also want to leave extra time for downtown traffic, especially during morning and evening rush hours. Here are a few more things to keep in mind about San Jose. Carpool Lanes: Highways around San Jose often have High Occupancy Vehicle (HOV) lanes to help reduce traffic. If you have 2 or more people in your car, take advantage of HOV lanes to bypass the worst slowdowns. NEVER use a carpool lane when driving alone; if you get caught, you’ll pay a hefty fine. Street Cleaning & Other Parking Restrictions: Street parking is available in San Jose, but you should check parking signs, even when you see a meter. Some metered parking is closed certain days for street sweeping, and some might only allow parking during certain hours of the day. Additionally, some streets may have “alternate day” parking rules that you’ll need to learn quickly to avoid getting a ticket. Validate Your Parking: Since parking downtown can be difficult and expensive, many local businesses will validate parking as a service for customers. On weekdays, parking validation will give you 2 hours of free parking; on weekends you’ll get free parking with no hourly limit. Local Traffic Laws: Pay attention to local speed limits when driving in San Jose, as well as posted signs. If you have any drivers under 18, be aware that they are not allowed to use a phone while driving, even if the device is hands-free. Rock ‘n’ Roll San Jose Half Marathon: Occurring each year in October, the San Jose Half Marathon also includes a 5K and a 10K, with thousands of runners competing in each race. Be extra cautious of pedestrians near the race area, and be sure to check the Road Closures page of the event website when planning your moving day route. SubZERO Festival: In addition to monthly First Friday events for art lovers, the SoFa District in San Jose also hosts the SubZERO festival each June. Tourists and locals alike will flood into the district for two evenings of live music, great food, and stunning artwork. Expect some road closures and increased downtown traffic during the festival. Silicon Valley Pride Festival: Unlike other Pride celebrations, San Jose’s major event for the LGBTQ+ community takes place in August, rather than June. The event includes a parade and two-day festival with live performances, food and artisan vendors and more. This is the largest Pride event in the South Bay, so you should prepare in advance for congested roadways and minimal parking options. Other Local Events: San Jose and the surrounding Bay Area always have something going on, from local cultural festivals to headlining rock concerts. Before your moving day, check on Google to see what events are happening around your new home, and plan your move to avoid closed roads and as much traffic as possible.